Hidden Lake, Missouri River, Fontenelle Forest, Nebraska. 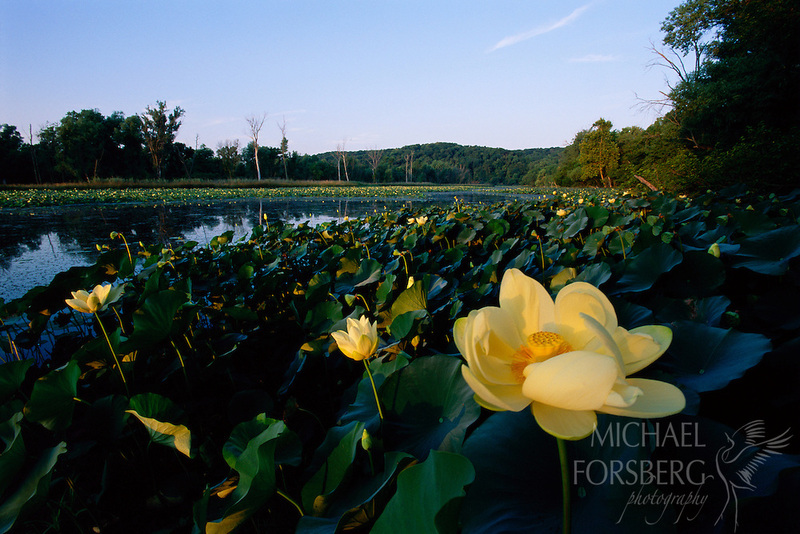 American Lotus flowers bloom gracefully on Hidden Lake, a restored wetlands located along the Missouri River in Fontenelle Forest, Nebraska. Submerged portions of this aquatic plant provide habitat for many micro and macro invertebrates, which in turn are used as food by fish and other wildlife species.